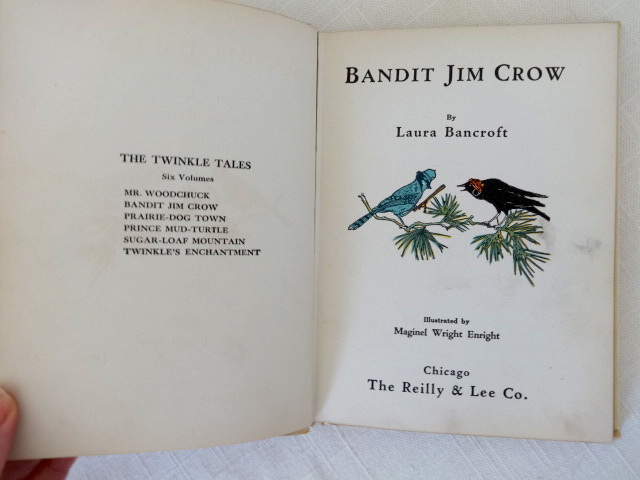 L. Frank Baum (of Wizard of Oz fame) also wrote other children’s books under the Laura Bancroft pseudonym. Here is a beautiful and highly desirable little one called Bandit Jim Crow. This is one of the six Baum’s iconic “Twinkle Tales”. 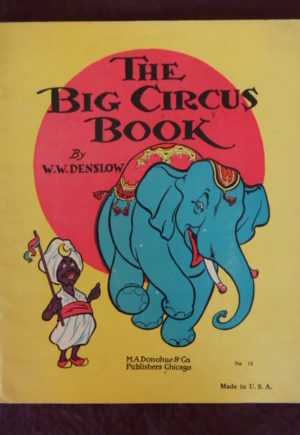 With illustrated cover and fourteen full page and some partial page color illustrations by famed illustrator Maginel Wright Enright (sister to Frank Lloyd Wright)! 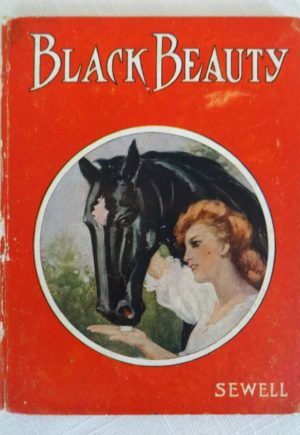 Copyright 1906, this is a later printing published by Reilly & Lee. Book is small, about 5″ by 7″ and 63 pages. 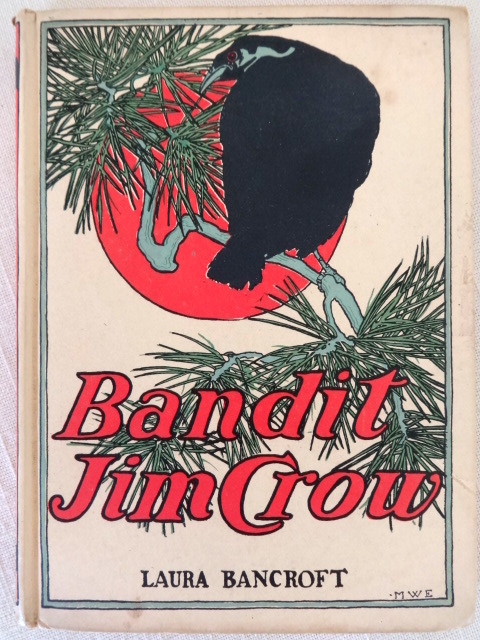 In Baum’s book, Bandit Jim Crow actually is a crow. 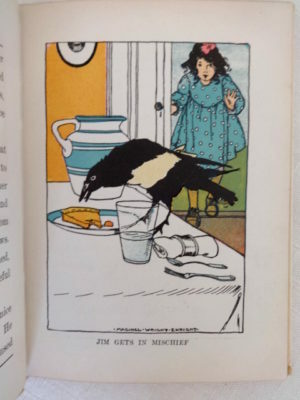 This is the story of his criminal behaviour and subsequent rehabilitation by fellow birds, including Policeman Bluejay, who is the subject of another of the Twinkle Tale books. 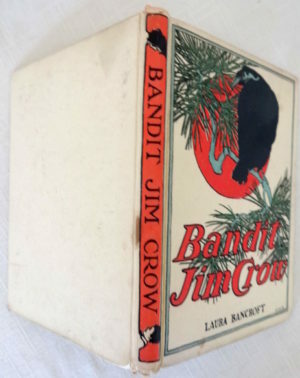 In very good condition, especially rare for this fragile series. 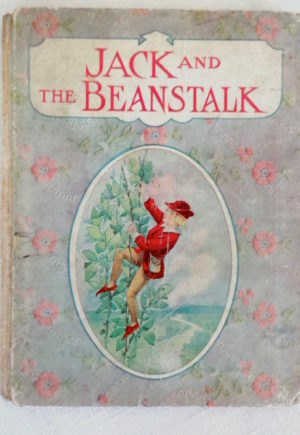 Cover illustration complete and bright, light edge wear, small stain at back of spine, light wear to corners and spine ends. Inside, finger soiling to endpapers and text pages, tight binding and hinges.